The FR and FA Series power take-offs were designed in cooperation with Ford Motor Company's engineers to fit the 5R110 "TorqShift®" and 4R100 automatic transmissions. Two models of each series are available: the FR63 and FA62 for two wheel drive vehicles, and the FR67 and FA64 for four wheel drive. The FR63, FR67, and FA62 are available in both remote and direct mount pump models. 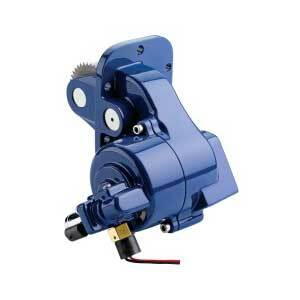 The FA64 is available as a shaft front, direct mount pump model only. All are wet clutch type power take-offs. PROBLEM: Today's diesel engines don't make it easy for the installation of clutch pumps and mounting kits! The 2011 Ford Super Duty, equipped with the 6R140 Automatic Transmission and the Muncie FR66 Series PTO can transmit live power to your hydraulic system. The FR66 can deliver up to 200 lb. ft. of torque for stationary applications and mobile applications are possible with up to 120 lb. ft. of torque. Say goodbye to low power ratings, replacement belts, and difficult clutch pump installations. Muncie's FR66 Series PTO provides maximum torque capacity with a surprisingly simple installation. Maximum Torque: 200 lb. ft.